Once again the Office of Rail Regulation has released to figures detaling how well used Great Britian's train stations area. The data has been honed down over the past few years so that it has become more accurate and represents long-term trends. Since last year's data was calculated, the major news story is that Oyster Pay as you Go has been accepted for travel on the rail network in Greater London, which has seen usage shoot up here, bucking the national trend of, overall, marginal decline in numbers. Full analysis of all stations in the LEYTR area is contained in the forthcoming magazine. The very latest data can be viewed by clicking here (ORR website). Our summary of the data is below. Glasgow has seen the largest drop, with around 5 million fewer journeys during the 2009-10 financial year than that previous. The top five remain unaltered, with Waterloo continuing to be the UK's primate station, with 16 million more journeys than its second-place rival, Victoria (compared with 17 million last year). By contrast, London Euston saw an increase in usage in the region of 3 million - a direct result of both Oyster PAYG's acceptance on London Midland services and also the introduction of Virgin Trains' Very High Frequency timetable, with a considerably increase in trains, following completion of the £9bn WCML upgrade. Despite there being only a few movers, the top ten composition remains the same as last year. Half of this year's bottom ten featured in the same list last year, though there are a number of very good reasons why so few people use the stations - not least because some are found at tiny population centres where rail usage in the thousands simply will not happen. Also the frequency and days of operation severely hinder usage. Tees-Side Airport station has, for example, just 4 trains each way on Saturdays - hardly likely to rival Waterloo, though 68 passengers is incredibly low. The ORR doesn't claim the data is accurate, merely the best it can produce and a useful insight. We'd agree. A massive increase of 4 million journeys were made at Clapham Junction, with between 2 and 3 million additional journeys being made at other London stations in this year's top ten. This is directly attributable to the uptake of Oyster PAYG. Finsbury Park replaces Lewisham in the top ten interchanges this year. We're not too sure what to say about these stations, although with such low figures as 1 or 2 they could be drastically distorted. Many are end-of-the-line stations, though not all. Journey planners are often culprits of making stations interchanges that wouldn't normally be considered thus. 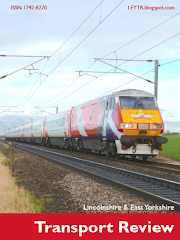 In the LEYTR area, for example, Habrough is cited as the preferred interchange for passengers travelling between Cleethorpes and Lincoln Central. All locals know the best place to change is at Grimsby Town or even Barnetby, but journey planners suggest otherwise. Very little change in the composition of this list compared with that of the year previously. In many ways it is testamant to the rail industry that in such gloomy economic times the numbers using the network remain relatively constant. In the past year 12% growth has been recorded, so we expect next year's figures to show marked improvements for many.